Has La La Land been overhyped? "Incredible!" "Glorious!" "Magnificent!" - The hype surrounding La La Land has been difficult to miss. In addition to all the critical praise, the film is dominating awards season - equalling the all-time record held by Titanic and All About Eve for the most Oscar nominations. But now many moviegoers are coming forward to say - or rather whisper - that they just didn't get it. I was one such moviegoer who was desperate to see it - but left feeling somewhat disappointed. I'm keen to stress I don't think La La Land is a bad movie. Far from it - the songs are catchy and it's beautifully filmed. But after the acres of five-star reviews, I came away feeling it had been somewhat overhyped. Judging by our inbox after the Oscar nominations on Tuesday - there are other film fans who felt the same way. It's not unusual for the films which float around during awards season to be popular with critics, but less so with the general public. Indeed, there is a school of thought popular with marketing researchers that it is actively necessary for a film to split opinion in order for it to be successful. Oscar Wilde certainly believed that, famously stating: "There is only one thing in the world worse than being talked about, and that is not being talked about." Titanic seemed to prove this theory - despite having an effect on audiences similar to Marmite, it went on to become the highest-grossing film of all time (since beaten by Avatar) and scooped the Oscar for best picture in 1997. The last musical to win best picture was 2002's Chicago - starring Catherine Zeta-Jones and Renee Zellweger. I distinctly remember going to see it at the cinema and being bowled over by how good it was. The acting, the editing and the songs all blended together to make an almost-perfect film. The subsequent success of movies such as Mamma Mia and Pitch Perfect prove that audiences are more than willing to go and see musicals on the big screen. 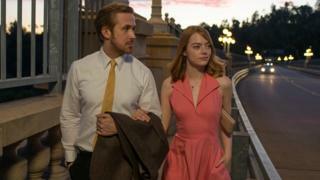 But while those films are fairly mainstream, feel-good box office fodder, La La Land has been criticised for not quite delivering what it advertises. In the film's ubiquitous promotional image, Ryan Gosling and Emma Stone are seen dancing together against a purple skyline. The vibrant colours make it look young, appealing, glamorous. Many of the film's reviews reinforce its image as a Hollywood love story. "A gorgeously romantic modern-day musical" is how the i paper described it. But the film is actually far from romantic - lacking the traditional happy ending which would've seen Gosling and Stone's characters end up together. Personally I thought not being predictable is actually one of La La Land's best qualities, I was pleasantly surprised that its ending took an unexpected route. My issue was more that it simply didn't quite live up to the months of build-up and promotion and subsequent awards success - it has already broken the record for the most Golden Globe Awards in history. Of course, a bit of a backlash is inevitable for any pop culture product once its success has gone stratospheric. It is always difficult for any film, album, book or TV show to live up to expectations once it's been so highly praised. If I had gone into the cinema with no expectations, I probably would have come away from it with a better opinion than I did having gone in with such high expectations. When I saw Chicago, I was 15 years old and paid no attention to reviews or hype - and I enjoyed the film so much more as a result. Some film fans have taken issue with the fact that a movie about jazz is fronted by two white actors, while others say the script is weak and that Gosling and Stone's singing talents are questionable. The Spectator's Deborah Ross - one of the few critics to strike a slightly more dissenting note - said the songs had "lyrics I couldn't make out for the life of me" - but, as she and most other critics agree, the songs themselves are impossibly catchy. It would be hard to argue La La Land is a bad film - it just doesn't quite do what it says on the tin. My advice to those who haven't seen it would be to ignore the reviews, go in with a clear mind and just enjoy it as a perfectly nice but unspectacular film.